The Big Bang Fair, organised by Engineering UK, is the largest event which celebrates science, technology, engineering and maths for young people. It offers an exciting ‘hands on’ approach to show the audience just how exciting and rewarding job opportunities there are for people with the right experience and qualifications. 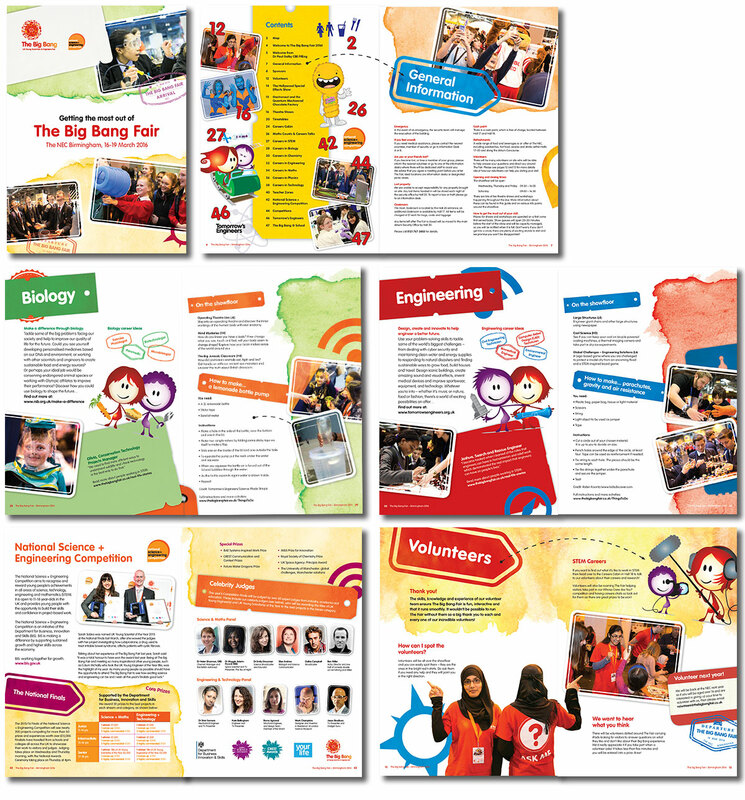 To design an engaging and exciting look and feel that encapsulates The Big Bang brand and that appeals to all audiences of young people (girls and boys, engaged and non-engaged, 7–19 years old), teachers, parents and sponsors. 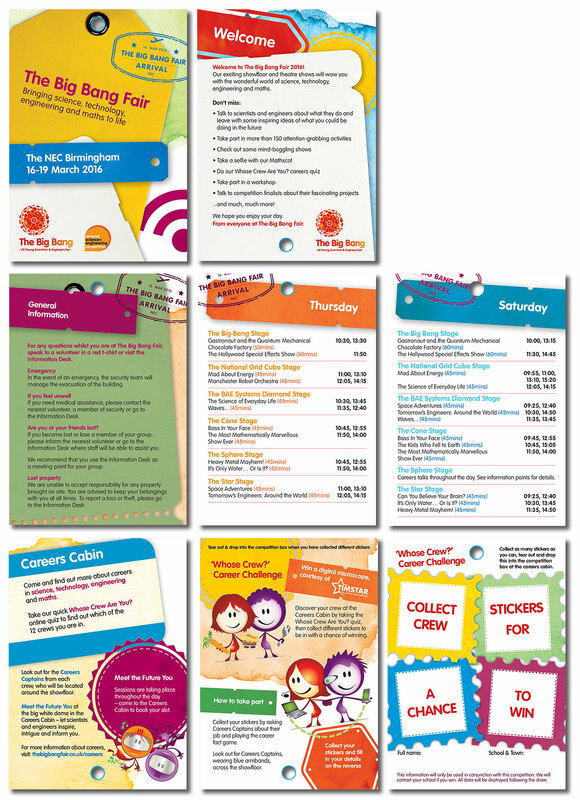 The design concept must also be flexible enough to be used as part of the ‘year round conversation’ of smaller UK events. Ocean took their inspiration from exploration, expedition, travel and journeys, reflecting the way visitors would be getting ready to travel to the event, their different journey around the fair and the exploration they would do whilst there. We created a set of travel-related assets of tickets, labels, stamps, symbols and other ephemera. These were then used in many ways and colours throughout the show guide, lanyard, adverts, promotional literature, signage etc to tie everything together and create a unified identity for the event. 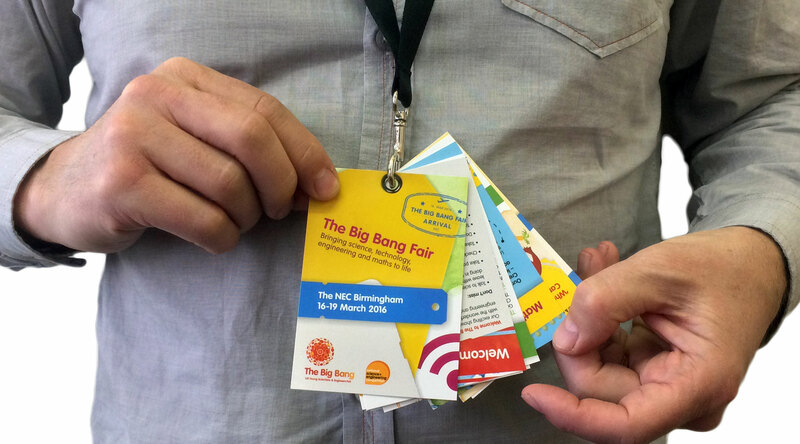 "We have worked with Ocean on The Big Bang UK Young Scientists & Engineers Fair for the last two years. We absolutely love working with Steven and Marianna, their ideas are brilliant and show a good understanding of our brand and our objectives. This year’s ‘instagram’ theme has been extremely popular amongst our target audience of young people, their teachers and parents; and the flexibility of the design has allowed us to use it on more materials than initially planned. The marketing campaign for The Fair has many elements to it; some have long lead times and others will be last minute additions that need to be turned around quickly. In all cases Ocean deal with the project in a calm, professional manner and deliver great results on time and on budget. We would definitely recommend working with Ocean; they are a delight to work with."